With three weeks to go until a new round of tariffs is due to kick in, this has to be a slight concern, and could limit further strong gains in the short term. It’s set to be an important day for the pound today as the Bank of England gets set to meet for its latest rate decision and quarterly look at the UK economy. Given the weakness seen in some of the recent day it’s hard to imagine that there will be any surprises. We also have Prime Minister Theresa May heading off to Brussels to meet with the head of the European Commission Jean Claude Juncker with the words of the President of the European Council ringing in her ears that there is a “special place in hell” for the people who promoted Brexit without any plan to do it. Given the tone of those comments, made during a press briefing with Irish Taoiseach Leo Varadkar, it seems highly unlikely that she’ll get any changes to the withdrawal agreement, before next week’s vote in the House of Commons, if it even takes place, something that is looking increasingly unlikely. There is a chance she may get feedback on any potential areas that might be open for further discussion, though the bar is likely to be very low. What is becoming clearer, is that in the absence of any progress in renegotiating the deal, article 50 will have to be delayed, as time is slipping away to pass the required legislation in time for any sort of departure on March 29th. After a positive start to the year the pound has slipped back from its January highs over concerns that time is running out as we head towards the March 29th deadline when the UK is set to leave the EU. While that uncertainty continues to cap the upside the pound’s progress hasn’t been helped by the fact that the economic data seen so far for January appears to show that the UK economy is close to stall speed, despite low levels of unemployment and wage growth that is at a ten-year high. Anyone suggesting that today’s Bank of England meeting could in any way paint a hawkish picture is likely to be in a minority. Quite simply the underlying data doesn’t support a rate rise in the near future, particularly since headline inflation has slipped back to 2.1% from levels of 3% just over a year ago. They are also unlikely to want to be too dovish given the current weakness in the pound, the last thing they need is further sterling weakness potentially undermining their inflation forecasts. Its highly likely that the Bank of England will try and paint a fairly neutral picture, saying that they are prepared to react to any possible Brexit eventuality and its feasible that they will leave their inflation forecasts exactly as they are, though they might nudge them lower. The bank’s base case will be for an orderly withdrawal, something that at the moment is looking much less likely, but nonetheless is the only model that they can really prepare for.For now, markets are pricing in the prospect that rates probably won’t rise much at all before the end of this year. 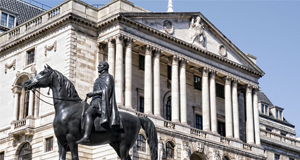 Today’s Bank of England rate decision and inflation report is unlikely to change that calculus, with the bank citing external risks to their underlying forecasts, in the form of slowing global growth, and a disorderly Brexit. 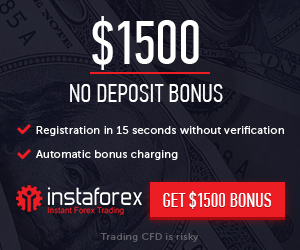 EURUSD – continues to slip back sliding below the 1.1400 level and towards the November lows at 1.1215. We need to see a move beyond the 1.1520 area to signal a deeper move towards the December peaks at 1.1570. GBPUSD – the slide below the 1.3020 area has seen the pound continue to slide with the prospect that we look on course for a move towards 1.2820, on a break below the 1.2920 area. Only a move back through the 1.3020 area stabilises and opens up a return to the highs of January at 1.3200. EURGBP – having failed to break through the 0.8820 area the euro has slipped back, but has found support at the 0.8770 level. A move below 0.8770 could open up 0.8720. Still in the broader range with resistance also at the 200-day MA at 0.8860. USDJPY – the 110.20 level remains a key resistance. We need a break through here to retarget a move towards 111.00. A failure to move above the 110.20 level keeps the onus on fall back towards the 108.20 area. Above 110.20 argues for a move towards 111.00.